Yesterday was my birthday, and as you all know, my bike hasn’t been approved yet by the TÜV or Magistrat 46 to use on the roads of Austria. So I decided to buy myself a present so I could still get my biking fix while there are some nice days. It’s meant to be 22°C on Saturday! It was actually my girlfriend’s idea. She told me twice I should buy another bike! She’s a keeper! So my new old toy is a 2003 Yamaha R1. It’s kinda high mileage and has a bit of a dent in the tank but it seems to have been well looked after and it was cheap. Mechanical / Maintenance courses in North London? Hey, hive mind, my friend Gill just passed her Mod 2 bike test yesterday and is looking for a motorcycle maintenance course to teach her the basics. Originally, the plan was that I'd help her with that stuff but now that I've buggered off overseas she wants to do a course to give her the confidence to get started. I reckon she just needs minor servicing, maintenance, safety checks to begin with. She works full-time Monday to Friday so it would need to be evenings or weekends. We found these at Bolt London. The Oval Motorcycle Centre used to do some but it's closed down. Everything else seems to be full-time, 1 year City & Guilds type stuff. Do you peeps know of any others, preferably in North London? Idly toying with the idea of getting a VFR800 as a second bike for longer runs out of the city and doing a bit of touring on. Does anybody have any advice/tips about them? And a translated link in case your German's nicht so gut. Allegedly, this is a mirror for a Kawasaki Z750 but I don’t know what year. I know it’s not what was standard on my 2005 model. It’s brand new and has never been attached to a bike. Free to a good home. I just don’t want to throw it out and can’t be arsed ebaying it. 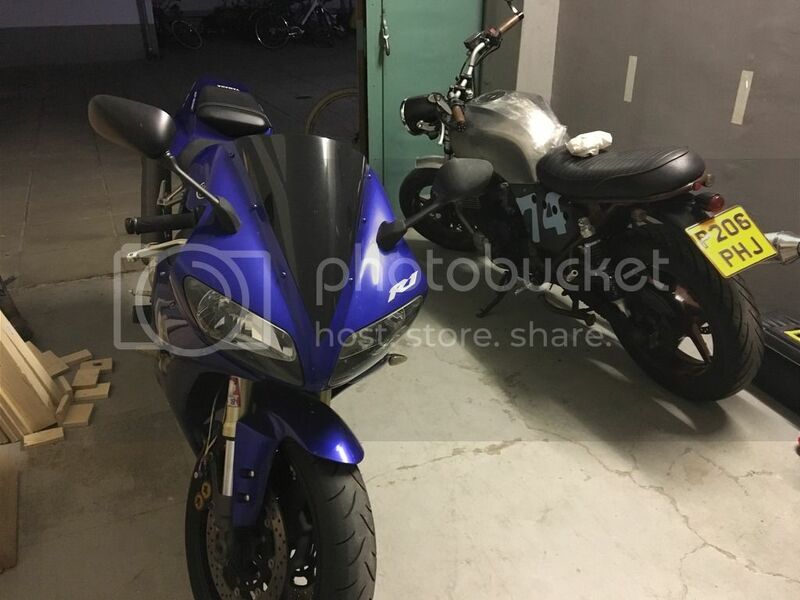 Bike Talk / New Z900 on the way? 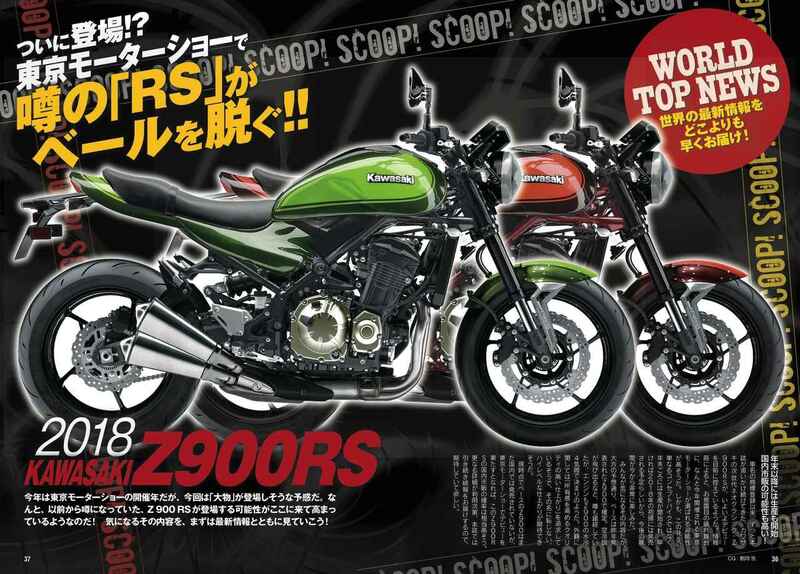 Just saw this article in Visordown quoting a Japanese magazine that says a new Kawasaki Z900 is coming. With retro styling, it'll definitely appeal to a certain segment of the market. I think what'll make or break it, in a market dominated by the BMW R9T, is the ease with which it can be customised. Will it have a swappable sub-frame? Will a scrambler or flat-tracker variant come after it? What do you reckon? I think it looks pretty good. Bike Talk / Genius product? Or daft idea? What do you lot make of this? As good as wipers on a visor? Or a valuable extra safety device? In case anyone's interested, I noticed a newspaper ad for this over someone's shoulder on the tube this morning. Car stuff too, if that floats yer boat. I still have it. Anybody need one? Bike Talk / Inspiration for m6rk...? I'm needing a biking fix. I was going to work on my bike this weekend but the part I need hasn't arrived back. Is there any bike-related event in London tomorrow or Sunday? Whether it's a show, gallery, get-together of some description. I just need to be around bikes. There are a bunch of cool bike vids here. Some are arty, some are simply cool. And there's one by me that's neither. Fill yer boots. Around summer 2012 I started to get interested in the new wave of custom motorcycles. 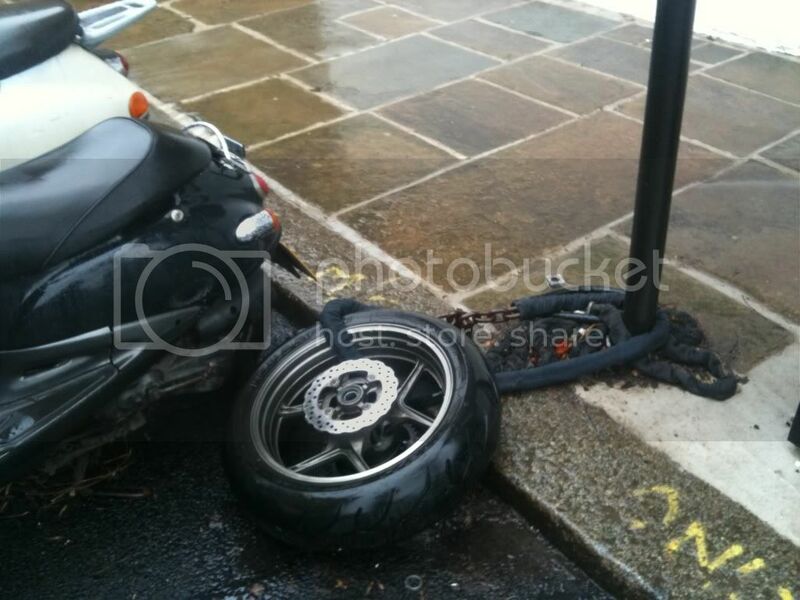 The sort of stuff you see on Bike EXIF. I spent many hours looking at what other people had done. I considered many options. I mulled over buying an old bike and bringing it up to date with tasteful modifications. But I eventually ruled that out because if I had a nice, original, old bike I would feel like it was sacrilege to chop it up or do anything other than a full, original restoration. I bid on one or two part-finished projects on eBay where the sacrilege had already happened but where I could make my own mark on it, making it my own. But I didn't win those. 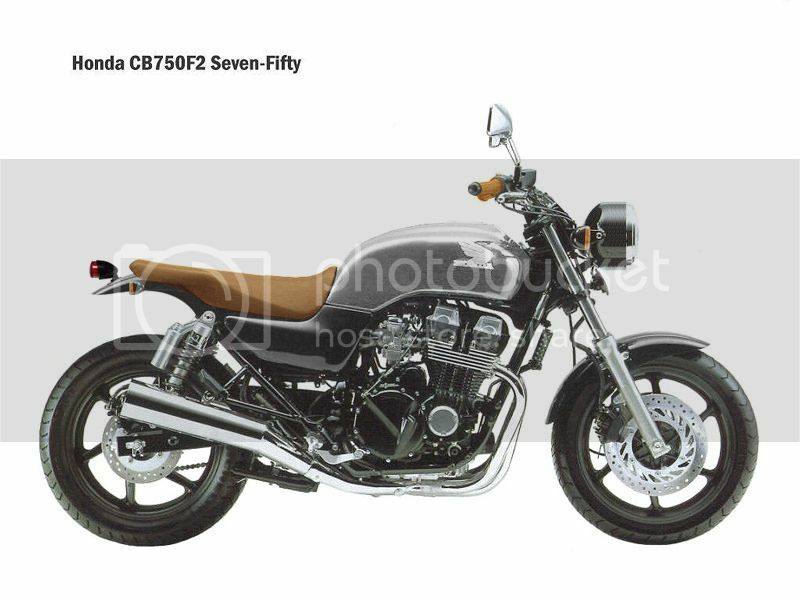 So I started looking for newer retro-style bikes that would have better performance, braking and handling than the older stuff but still have potential to create something interesting with a definite retro vibe. So, fast-forward to May 2013. 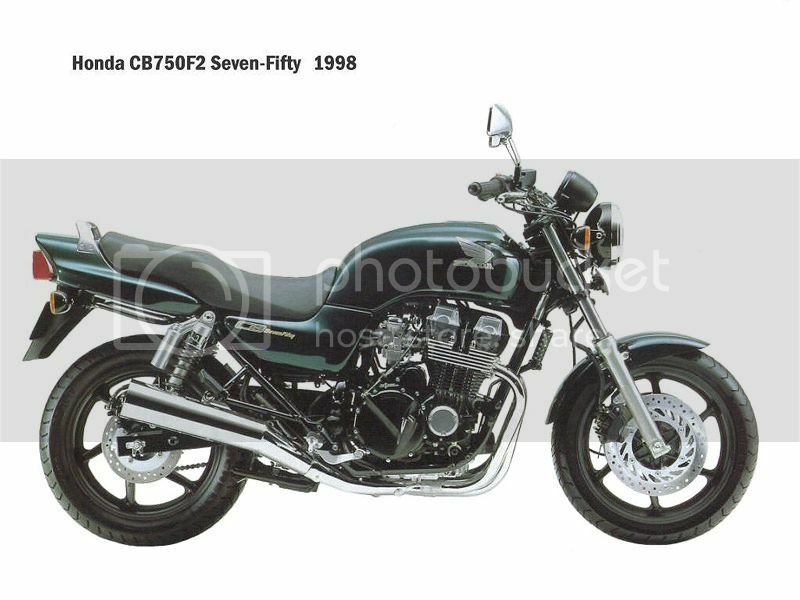 I bought a non-running 1996 CB750 with light accident damage for £600. It had been standing unused in a garage for the best part of a year. I wanted a cheap bike that I could take an angle grinder to and not worry if I fucked something up and this fitted the bill perfectly. My aim is to do something interesting for as little money as possible. So that means I'm not planning to replace things like the exhaust. It's to see what I can do on a budget. This is it when I got it home. I've not really done anything to change its appearance yet, apart from cutting off that rack which was rusted in place and replacing the pink indicators. I jump started it off my flatmate's car battery to get it running and then I replaced the worn-out battery a couple of days later, blowing the main fuse in the process. The terminals in the new battery were the opposite way around to the one I took out. I replaced that, then straightened the fork in the yokes (the previous owner thought they were fucked but they were just twisted), replaced the indicators (two didn't work) and put it through its MOT. I then replaced a leaking oil feed pipe which was a pain in the arse to do. Even the carbs had to come off. That took me 10 hours. The brakes were binding a bit so I started overhauling the calipers just before Xmas. When I got the pistons out they were so flaky I decided to replace them too but the company I ordered the new ones from sent me three of the correct type and one wrong one. When the correct replacement arrived it was too late for me to finish the job. So the calipers are currently in my kitchen in London while I'm in Northern Ireland for Christmas. Anyway, I was bored yesterday (did I mention I'm in Northern Ireland?) so thought I'd do a bit of Photoshopping. This is the before and after of what I would like to do to it. My base bike is scruffier. I intend it to make a feature of that. The tank will be sanded to bare metal and lacquered, keeping the dents visible. The paint is flaky in a few places. I'm thinking of calling her "Tina" because she has a definite patina. I'm not doing clip-ons because my back won't allow it. I've got some Renthal low bars waiting to go on, that's as low as I dare. I've already got the tail light, I'm planning to chop down and recover the original seat with stretchy, tan vinyl and respray a couple of bits black. I'm still trying to find the perfect rear mudguard but when I get that, I'm ready to start the cosmetics. Partly, this thread is so that you lot can nag me when I haven't done anything for a while!